If we decide to make a few more demanding items than needles and wool, we will need a few more things that can greatly facilitate our work. In many places sold all additional knitting accessories and ironing in the kit. Sewing needles - It is necessary to connect two parts of the object. It is necessary to have a large enough eye to allow the thread of various thicknesses to pass through it. a ruler - We use smaller samples, for example, when testing the sample elasticity. Needles for pattern making braids - We need to put a part of the eye on the side, and most often have a flap in the middle so as not to drop the eyes. Scissors - we use to cut threads. Needle stitches for pins - we use the knitting line to keep our eyebrows away from the needle. Brackets - we use when working in multiple colors so that we will not intermingle. Needles with a hook - We use it to raise the dropped eye. Row Counters - how all the patterns are made in a repeating pattern with a row counter is much easier to follow the pattern. Hex ring - When cutting a certain lace ring is an indispensable part of the accessories. Marker for marking – very useful when circular knitting to make it easier to recognize the end of the circle. 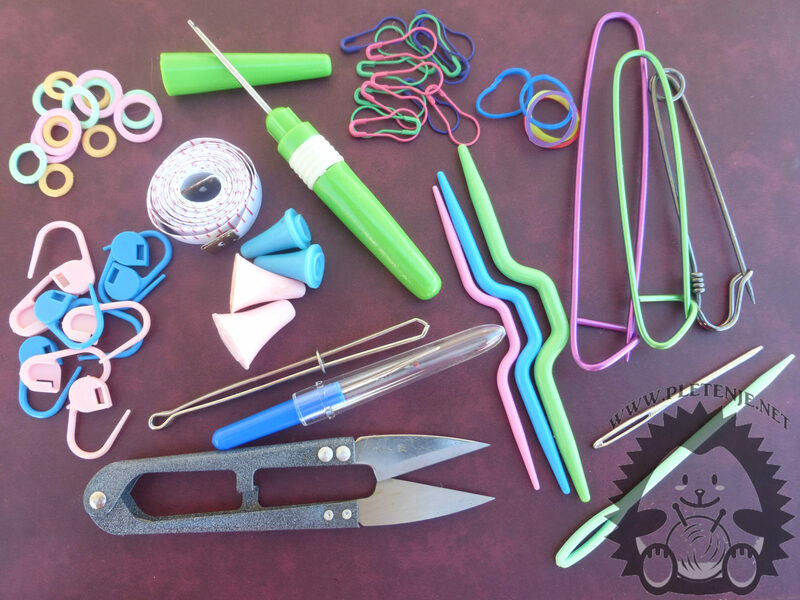 Pins for pins – we use them for disposing of needles and other accessories for work. Subscribe to our Youtube channel and see our video instructions.